Crescent Growth Capital was approached by a tax lawyer in the summer of 2014. Familiar with our experience structuring historic tax credit equity, interfacing with state historic preservation offices and authoring historic preservation certification applications, he introduced a development team comprised of a commercial real estate developer, Slumber Corners, a hotel manager/operator, Commune Hotels & Resorts, and an equity backer. These partners envisioned developing a $42 million, 185-key Joie de Vivre boutique hotel. The development team had under contract for $5.5 million a gutted, fire-damaged, 16-story building dating to 1967: the former Rault Center. The effort to qualify this structure for Federal and State Historic Tax Credits ran parallel to the project financing track. 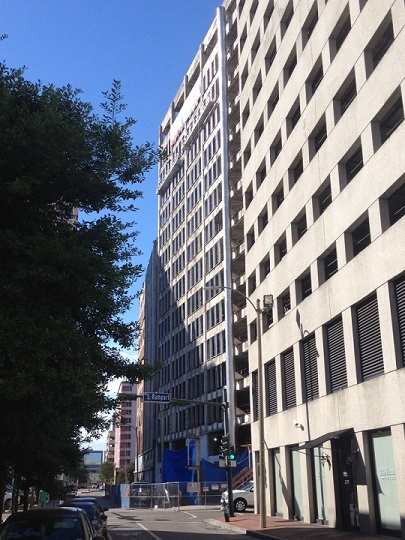 Though 1111 Gravier was less than 50 years old, its historic significance from the standpoint of building life safety codes justified pursuit of an individual listing on the National Register of Historic Places (Under Criterion A: Buildings associated with events that have made a significant contribution to the broad patterns of our history). 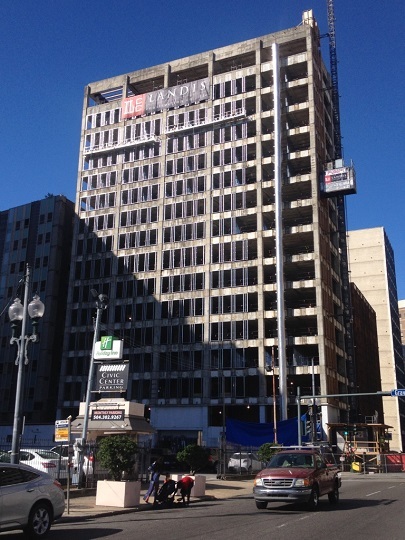 Our team’s presentation to the Louisiana State National Register Review Committee was successful, and 1111 Gravier (“The Rault Center”) was ultimately named to the National Register of Historic Places on January 20, 2015. In addition to working on the HTC eligibility front and related lease-pass through financial structuring requirements, CGC assisted the development team in their search for a senior construction lender, securing a $28 million senior loan. The total Qualified Rehabilitation Expenses to be incurred will approximate $30 million. The outcome? 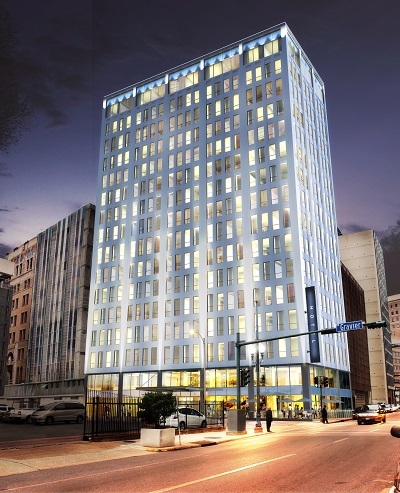 A long-abandoned, 16-story building will be returned to commerce as the Troubadour, adding momentum to the ongoing renaissance of New Orleans’ downtown district, post-Katrina.